Release date: Dec 22nd 2017. WELL Its Official! Blind to Reality has been released and can be purchased digitally worldwide from any of the big music outlets (Amazon Music, iTunes, Google Play Music, Shazam to name a few). for those of you who dont wish to spend the $5 we have also uploaded the album to bandcamp and all the songs and full album can be hunted down in youtube or by visiting the media page on our website (link below). We hope you enjoy our brutal tunes! thank you for all the positive feedback on the depose single. we are going to party hard this summer and get busy on our next release! A special big thanks goes out to our trusty producer Nik Carpenter from Core Studios/Records for producing such a thumping record. so many of the reviews we have received have mentioned how great the recoding quaility is. Thanks again Nik! Listen to the entire album ad free right here! 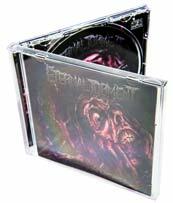 Eternal Torment is a brutal death metal band from the Gold Coast in Queensland Australia. Scroll down to the widget below to hear our previosly recorded material or browse to our Media page to see live videos and download promotional packs for your event or venue. please visit the About page to view the full band Biography. We are now accepting online payments for our merch! We love fridays around here at Eternal Torment Industries. If we arent playing metal we will be somewhere else making some. Our official merchandise can be purchased on the Merch page. buy securely with buyer protection from paypal. The Blind to reality CD has been released for distribution and physical copies are currently being arranged. Please check back soon or stay posted on our facebook for announcements regarding the cd pressing. Physical copies of the Descent into Madness EP are still available in our Merch page. Get over to Bandcamp and have a listen for free! © 2012 - 2019 Eternal Torment Australia. All rights reserved.